Tony Lawrence's Coins & Stuff: Book Review: Mark Ferguson's "The Dollar of 1804"
This new book by Mark Ferguson fully traces the history of the Dexter 1804 Dollar, which is one of the eight "original" 1804 dollars. These coins, though not minted in 1804, were at least officially sanctioned for the purpose of gifts to foreign dignitaries such as the King of Siam and others. The book also suggests the possibility that actual 1804 dollars may have been minted in 1804. That's something that can probably never be proven, but as Mark points out, neither can the assertions that the mintage figures for 1804 dollars came from the use of 1803 dies. Mark actually makes a good case that real 1804 dollars intended for circulation were created. I don't think it would be fair to say why he thinks previous researchers missed this possibility, but if you buy the book, that part of the story begins on page 123. I had never heard that theory before, but it certainly is plausible. For example, Walter Breen is widely quoted as saying "Unquestionably, the Mint used 1803 dies -- and possibly 1802 dies, as well -- in striking those coins". 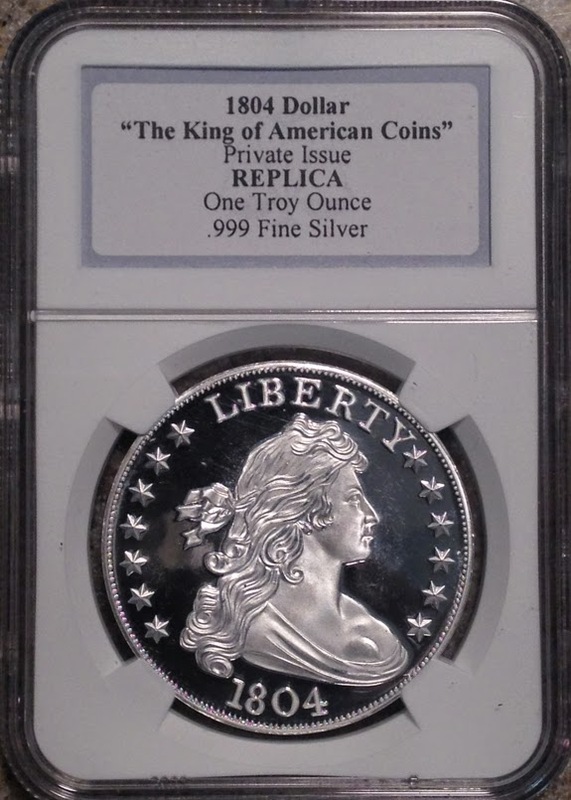 I found that quote at http://www.pcgs.com/News/The-Ireali-1804-Silver-Dollars but it is not "unquestionable" at all. It may be true, but there is no proof of it. Mark's theory of disappearance is equally possible. Then there is the counter stamped "D" on the Dexter coin. That is faithfully reproduced on the replica I bought with the book. Many sources assume that James Vila Dexter was responsible for that mark. 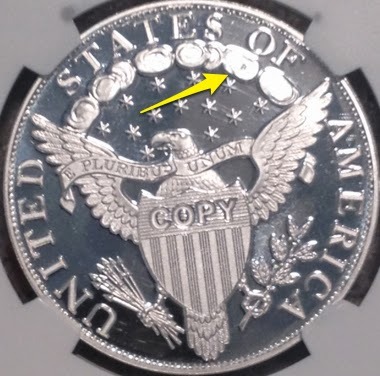 For example, http://www.pcgs.com/research_archive/dextersilverdollar/ asserts "Dexter punched a small "D" into one of the clouds on the reverse, forever marking his ownership of the treasured coin". However, Mark notes that this coin also passed through the hands of William F. Dunham and, unlike Dexter, Dunham was known to have counter stamped other coins he owned! "The Dollar of 1804" also taught me a few other bits of trivia. Did you know that the Dexter coin was once in a PCGS holder and that you can look up its certification? It has since been cracked out since then and ensconced in a custom holder. It was graded "PR64", which grade was certainly influenced by the prominent fingerprint on the obverse. You can obtain your own copy of this fascinating book through Amazon, with or without the replica coin.